This will be my shortest blog post so far, but I just need to express my frustration in searching for new products to private label and sell on Amazon. It is a difficult and time-consuming process to look for good products to sell with the Amazon’s FBA Program (Fulfillment by Amazon). 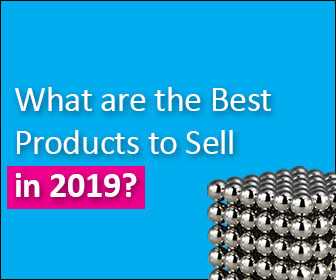 When you think you have found something really interesting – a product with high demand and a low amount of reviews – the sales history shows proof of irregular sales that may affect the sales rank. And we all know how important sales rank is. I have been taught through my online research, ie. Webinars and YouTube tutorials by successful and experienced Amazon FBA sellers that you should have a demand of at least 3000 items being sold per month. At the same time the competitors (top 5 to 10 competitors) should not have more than approximately 50 product reviews each. For me these parameters seem more or less impossible to fulfill when considering my product research so far. Furthermore, the review count does not make much sense… How can you have sold 3000 items but only gotten 50 reviews? I understand that not every buyer leaves a review, but still believe it is a higher number than this in most cases, or am I wrong? Another thing to consider is the fact that there cannot be too many competitors selling the same product. Unfortunately, I have not learned how many sellers you can compete with just yet. As soon as I figure this out, I will update with more information. I would guess it depends on whether they are Amazon FBA sellers or not, their overall seller rating, and the number of product reviews. In Fact, the More I Learn About How to Sell on Amazon, the More Complicated It Gets! Because of the fact that I am a new Amazon FBA seller, I kind of have to figure out things as I go. I just experienced the difficulty in asking for buyer feedback through Amazon’s seller central. All my emails this far have been sent back to me with a “failure to deliver” notice because the buyer has “opted out” from receiving seller emails. This makes it quite difficult to say the least. I would guess there is some type of software out there by now that can solve this issue and allow sellers to still send out emails to buyers. I will have to look into that, since reviews are essential to get trust, better rankings, and more sales on Amazon. If you have heard about private labeling before, you probably know that most sellers source their products from China, since the prices are without hesitation the lowest worldwide. The most common site private label sellers use is alibaba.com. I bet you have heard of Alibaba in some way or another. However, I found another supplier website that seems quite decent: HKTDC.com. From this site you can order products of less volume, which in turn contributes to lower up-front product cost and less risk. If you are ordering too many products before testing the market, you risk not selling them all. Your wallet will shrink and you also risk getting punished with higher inventory fees from Amazon. Right at this moment I am doing research about drop shipping and retail arbitrage as alternative e-Commerce options. I am planning to create an article/blog post about this subject when I have finalized my research. My mission is to always give you as accurate information as possible. Until then, stay productive and blessed! Private Label Product Research - Not Easy!